Welcome to the final month of the year! And my birthday month for that matter, tee-hee. With Black Friday weekend now far behind us (well…kind of), the PlayStation’s release schedule is finally slowing down. A lot of single game and double game day releases will flow in till around January, so get in all the play time you can now. 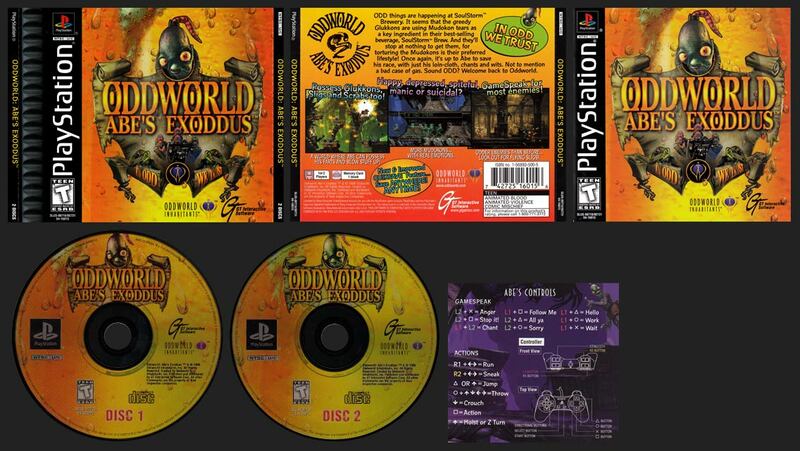 Today’s solitary release is the sequel Oddworld: Abe’s Exoddus. More commands to shout, more enemies to take over, and you can even possess your own fart. I just wrote that, didn’t I? If you pick this up at Best Buy, you’ll snag a free little mini-guide inside.